Annuity rates were mainly negative across the board with standard annuities down by an average of 0.45% and smoker annuities decreasing by an average of 0.26%. 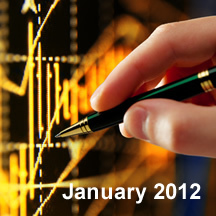 The annuity rates market was showed that 56% of annuity rates were unchanged, 39% decreased and only 5% increased. The data is based on a £100,000 fund for a male, female and joint and with different features such as 10 year guaranteed period and level. With the Eurozone debt crisis still unresolved and uncertain gilt yields reduced to thier lowest level for the end of a month with a yield of 2.43% which helped to drag down annuities. Fig 1 above shows that for the start of the year half the annuity rates were unchanged and of those that decreased the range of rate falls was between 0.2% and 2.9%. The standard annuity rates decreased by small amounts averaging 0.45% or were unchanged whereas more of the smoker annuity rates remained unchanged with an average decrease of 0.26%. For standard annuities the highest decreases of 1.6% were for Joint life annuities and ages between 55 and 65 with features including level, escalating, 50% and 100% spouse's benefit. Most standard rates for single life for both males and females were unchanged from age 65 to 75. For smoker pension annuity rates the significant change was for joint life annuities that either decreased or increased. The increases were from 100% joint life aged 60 to 75 increasing between 0.5% to 2.5% and the decreases were from 50% joint life level and 3% escalating aged between 55 and 70. 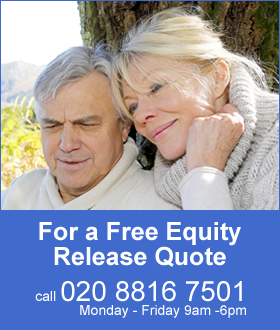 For those aged around 75 the annuity rates increased slightly. Whether annuity rates increase or decrease depends eventually on gilt yields and in particular the 15-year gilt yields. A 20 basis point reduction in the 15-year gilt yields would result in roughly a 2.0% reduction in annuity rates. Over the past three months gilt yields have decreased by 47 basis points or roughly a 4.7% decrease in annuity rates can be expected. However, standard annuity rates have actually decreased by 1.64% on average suggesting that they have further to fall and this could be by 3.06% unless gilt yields increase in February. For smoker rates the decrease has been 2.53% suggesting that they have further to fall and this could be by 2.17% unless gilt yields increase in February. Impaired annuity rates have decreased continually during January 2012 so any increase in gilt yields will create extra margin for the providers and they can add this to the annuity rates for particular medical conditions.